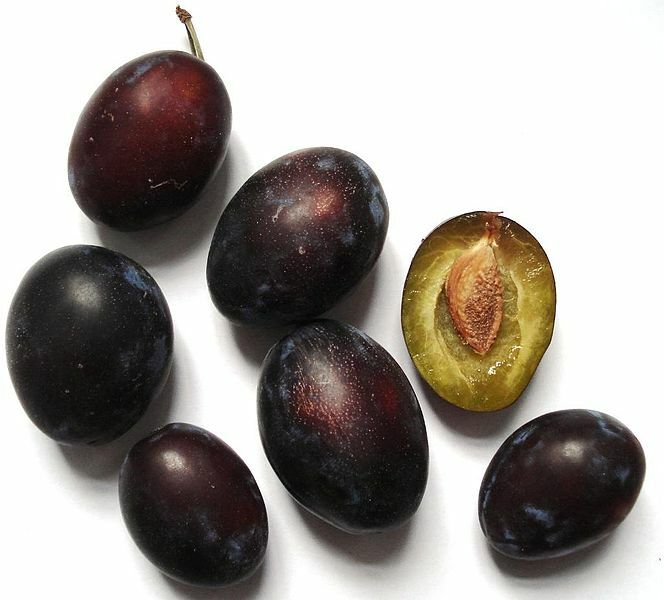 These plums are also also Italian Plums. "Datschi" is Bavarian and means cake. There are many recipes with plums and a famous one is "Pflaumenmus" or plume jam. 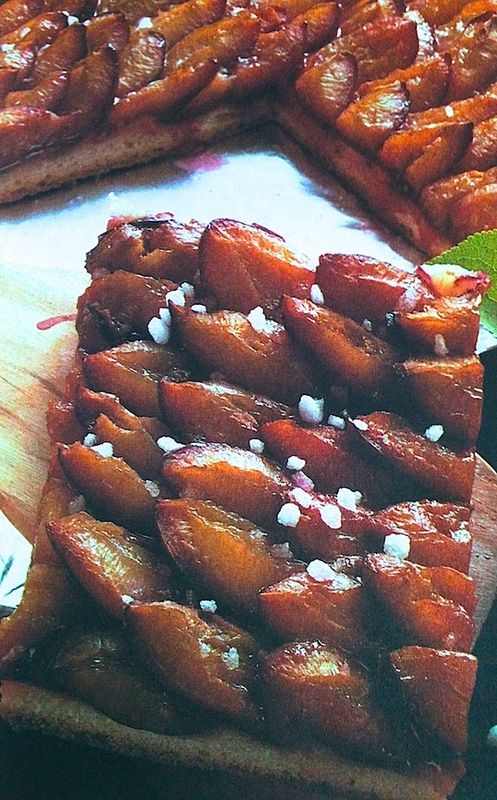 Try out the Italian plum cake if you have the possibility to find the Italian plums, you will love it! Happy Baking! - For the dough sieve flour into a bowl, make a mold in the middle, add yeast with some sugar into the mold and stir it with some of the milk. Cover it with a kitchen cloth and keep the dough for 20 min at a warm place. - Add remaining milk, salt, sugar butter eggs and lemon zest, then beat with a wooden spoon or a mixer with kneading hooks until you have a smooth dough without any bubbles. - The dough is good when it comes off easily from the bowls edges. - Cover dough again and let it raise. - Knead again, on a wooden baking board with some flour roll it so it will fit the size of your baking tray. Place it on baking tray that is layered with parchment paper. - Wash plums, remove stem and pits and cut them with a knife twice (don't cut them in halves). Place them on the dough in layers (should look like a German roof that is layered with roof tiles). Sprinkle cinnamon over plums - you also can make a mix of cinnamon-sugar and sprinkle it on top. - Bake in pre-heated oven on 200 C or 390 F for 20-30 min. - Add coarse sugar before serving the cake and serve it with whipped cream and a cup of coffee.